Welcome to Your Agenda21 site! Agenda21 is a plan of action, made by the best of humanity, to help make sure humanity doesn't run into a wall near the year 2100.
to get some structure and order into things and pool resources to help humanity solve it's most pressing problems as quickly and efficiently as possible and avoid we run into a wall near the year 2100. And humanity needs you need to join in! How to participate? First : Welcome to this Open and Free Virtual Environment with several tools that all interconnect seamlessly, such as a wiki creator, online calendar creators, mailing list list creators, pictures tool creator, polling tool, etc..
All this is to foster aligning your, your organization's, your communities local Agenda 21 or strategic plan with the Agenda 21 - the overall strategic plan to make sure humanity doesn't run into a wall / several walls somewhere around 2100 - a year that was often quoted. At the bottom, click on the log in / connect button and follow instructions. The administrators of our Virtual Office will receive your request to get access to the edit-button and add-page button. If it takes to long or you feel something goes wrong, email us directly: SvenAERTS228 at gmail dot com. 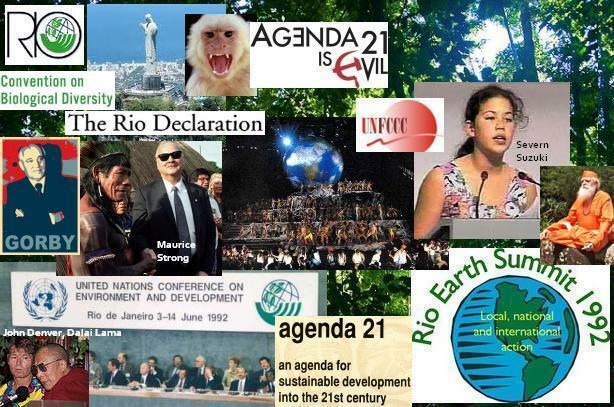 What is Agenda 21 & a bit of history - where did it come from? 2015 - The Global Pact for the Environment - an annex proposal to the Universal Rights Charter with an annex to the Universal Rights of Humans on a healthy environment and obligations to leave the environmental in a better situation for the next generations. Agenda 21 is a clear Plan of Action to help Humanity make it beyond the year 2100, connect people and organisations to pool resources to achieve the intermediate objectives in the most efficient way, pool resources and minds. Agenda21 - especially for young people - helps to make sense of all that is happening on our planet, to help see and bring order and a logic in things happening in both their direct surrounding and the world and discover the interconnections, to get in contact with people and join those with good analysis and solutions. Agenda21 looks much like a quality manual / management system. Start reading and the ideas will start coming, you'll be quicker understood, quicker find partners, become more open to collaboration proposals, things will more and more make sense, you will achieve your goals easier, you'll be more aware of what help exists, what others are doing you can derive support from. And your collaborators and investors will be better understanding why you / they are doing things, the larger context in which they are working, so it brings motivation and you'll be perceived as dealing better with risks and opportunities, hence attract more funding. Just about all local governments have a Local Agenda21 and more and more companies also align their strategic plan with the Agenda21 strategic plan, the 17#GlobalGoals and the UN Observances and more and more investors and partners ask for it before they invest in you. So Agenda21 is for individuals, for profit and non for profit organisations, governments, ... everybody. For a long time many well educated people and leaders - think before world war 1, started to express they were very worried that humanity would run into a wall if they/things would continue the way they/we-humanity/things were being done. You may have learned at school that by the end of World War 2, many leaders warned that if there was going to be a World War III - it would probably be fought including nuclear weapons and then it would be game over for Humanity as we know it as the whole planet would be completely inhabitable for humans and most higher species. Remember that before World War II - humanity / leaders - Royalty & Co didn't meat regularly on a global platform: the United Nations didn't exist and of course there was no internet, so meeting peers not seldomly involved shouting and getting into hand-fist fights. So far for the level of diplomacy at those days. You may also have heard about the "Club of Rome" - a club of top-scientists who kept gathering after the second world war and sending out these alarm messages to humanity - well whoever wanted to listen. Each of them - from their specialty had indeed identified some very worrying trends: biodiversity decline, environmental pollution, spreading of weapons of mass destruction, population growth, loss of fertile land, desertification, acid rains, the hole in the ozone layer, clean air, fish stock, killer epidemics, you name it. 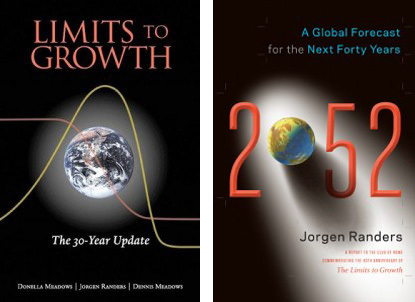 In 1972, they published a very famous book: "Limits to Growth". In 1974 it was followed by the publication of "The Doomsday Clock" which is updated by a scientific committee every year - even today. As it got more and more by-fall from other colleague scientists-leaders-people, the United Nations Organisation put their shoulders under the effort. 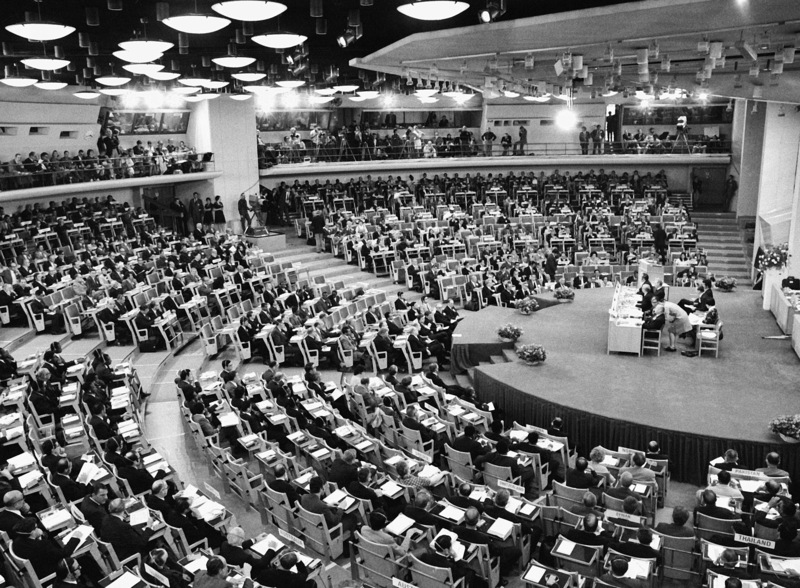 And in 1972 this resulted to something wonderful: with the UNO organisational skills and authority - a first "Earth Summit" was organised to bring this Club of Rome gathering to the next level. Milestone: the Earth Charter in 1987 & its Earth Charter Initiative, a global movement of organizations and individuals that embrace the Earth Charter and use it to guide the transition towards a more just, sustainable, and peaceful world. We must bring environmentally damaging activities under control to restore and protect the integrity of the earth’s systems we depend on. We must, for example, move away from fossil fuels to more benign, inexhaustible energy sources to cut greenhouse gas emissions and the pollution of our air and water. Priority must be given to the development of energy sources matched to third world needs—small scale and relatively easy to implement. We must halt deforestation, injury to and loss of agricultural land, and the loss of terrestrial and marine plant and animal species. re effectively. We must give high priority to efficient use of energy, water, and other materials, including expansion of conservation and recycling. .. this is the most scientists to ever co-sign and formally support a published journal article." Rio+25 = 2017 @COP23 in Bonn: "The Second Warning to Humanity by the Scientific Community - On the twenty-fifth anniversary of their Warning to Humanity, we look back humanity has failed to make sufficient progress we have unleashed a mass extinction event, the sixth in roughly 540 million years, wherein many current life forms could be annihilated or at least committed to extinction by the end of this century. .. this is the most scientists to ever co-sign and formally support a published journal article. " 2022: insert Candidate Earth Summit Towns and Regions as soon as known. 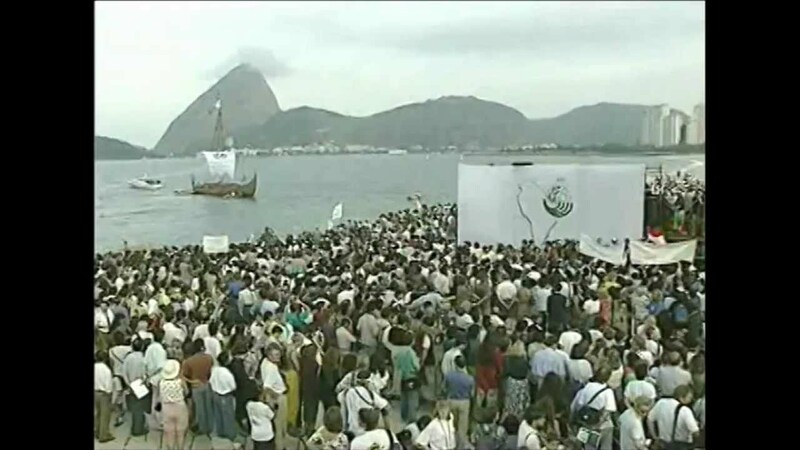 From 1989 till 1993, and culminating in 1992 with the Earth Summit in Rio De Janeiro, humanity - with help of the civil society and supported by the United Nations - gathered the brightest our Humanity could bring forward in series of exchanges of viewpoints to inventorise our Planet's and Humanities'challenges and then to develop strategies to avoid crashing into some walls or stepping on some hidden trigger events. Do we know of any asteroids that pose a threat to Earth? No known asteroid poses a significant risk of impact with Earth over the next 100 years. The highest risk of impact for a known asteroid is a 1 in 714 chance of impact by an asteroid designated 2009 FD in 2185, meaning that the possibility that it could impact then is less than 0.2 percent. The Sentry Impact Risk Table, which is maintained by the Jet Propulsion Laboratory’s Center for NEO Studies, is updated continuously as new asteroids are discovered and known asteroids are further observed. Why Agenda21 - a plan of action for humanity to be still there after the year 2100? Includes atmospheric protection, combating deforestation, protecting fragile environments, conservation of biological diversity (biodiversity), control of pollution and culture. Implementation includes science, technology transfer, education, international institutions and financial mechanisms. As Humanity was approaching the year 2000, and the Agenda 21 Plan of Action was further developed, out of it came the the "Millennium Development Goals" to be achieved by 2015. Because of the positive feedback, follow up goals were formulated: the 17 #GlobalGoals to be achieved by 2030. 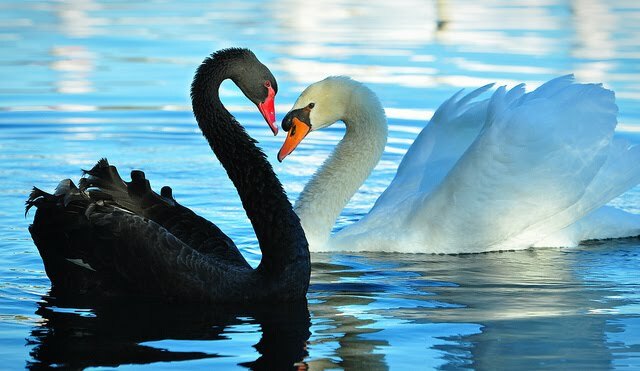 Picture: Several centuries ago in England, there were mysterious tales of a black swan. But such creature had ever been seen. Hence, for long, the black swan was the symbol for the impossible. Then came a big surprise: Black swans were discovered in Australia! Since then, the bird has symbolized that which seems impossible but can in fact occur. http://thebulletin.org/nuclear-war-black-swan-we-can-never-see7821 The swan is also the symbol of purity, kindness, love, care, fidelity, sincerity, strength, majestuosity, elegance, bravery and liberty that comes from it wings. Therefore, a strong symbol I use often is the black and white swan and it became the symbol and logo for MyAgenda21.tk - the possible. Was the first "wall", Humanity was going to run into, the Population Explosion? Or some unknown killer pandemic disease? Shortage of potable sweet water? Our inability to tap into the vast majority of humans, elderly, youngsters, kids and minority groups ? Of the now (2009) 6 billion people, hardly 2 billion participate in generating the 65 Trillion that is the World Gross Domestic Product, i.e. a way to express to some extend all products and services we are capable to get into the formal economy. Or maybe a Global Climate Destabilization would prevent us to make it beyond the year 2100 ? Or a meteorite impact? What was the first "wall" Humanity would run into ? At least more than one was detected; a "wall" = disaster in preparation = that was of a magnitude, capable of preventing majority to make it beyond the year 2100. For 3 years - from 1989 to 1993 - the United Nations "locked-up" the smartest organisations and people - gave them a platform, not only to reflect upon what were humanity's biggest challenges, list them, prioritize them, but also develop a Plan of Action or Plans of Actions to get around, over, under or make these walls disappear. And THAT is Agenda 21, a Plan of Action making all these actions converge and unlock synergies between individuals, groups plan of actions on topics they have been working on and developing excellence in, so that the more and more each advances, more and more building blocks will fall in place as others have also been preparing parts of the solutions and been enabled to make sure their plan of actions are known and open in a way they can interlink and unlock synergies for themselves and other plan of actions. Now it is your turn, to align Your personal Plan of Action for Your Life and your Children's or Parents or Grand-parents, your neighborhood with the Plan of Action 21. By doing so, you will feel immediately reinforced, connected, get even more depth and interlinkage and success.